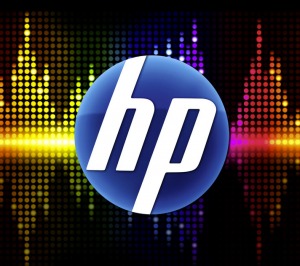 HP Play: HP's new Melodeo-based music service for webOS? An anonymous tipster gently suggested we take a look at a little something called "HP Play" and look we have. The tipster says that it will be the branding for a new music service from HP that will work with the TouchPad (and presumably any HP product, webOS or not) and suggested the service is in testing right now. Indeed, a Whois lookup on hpplay.com reveals that it was registed by an HP employee in the Melodeo division on February 9th - the very same day that HP revealed the TouchPad, Veer, and Pre 3 at Think Beyond. Until now, HP Play has lived as a Facebook promotional page with a heavy emphasis on Beats Audio. They've racked up 150,000+ likes by giving products away in several contests and the page itself continues to see fairly heavy activity building the HP Play brand. In fact, the consulting firm that helped create HP Play mentioned on their portfolio page (since removed, but available in Google cache) that the brand was designed from the get-go to "be scalable enough to outlive any particular campaign." We've been looking into the Melodeo / NuTsie service ever since HP acquired them last June. Currently, it is a mixture of Pandora-style music streaming and also direct-from-your-own-iTunes library streaming. While we have plenty of ideas of how HP could use the iTunes-streaming technology, we are growing more sure that HP will need to "think beyond" the relatively thin feature set we saw in our exclusive preview of a private beta of nuTsie for webOS. Cloud Music services such as Amazon Cloud Drive and Google Music have already launched and most assume that Apple's iTunes Cloud can't be far behind. The "HP Play" seems strong enough to us for HP to use it as their direct competitor to iTunes for video as well as music, but we'll see if that turns out to be the case. What does seem clear is that HP has bigger things planned for it than simply a Facebook page to promote Beats Audio. Sources: HP Play on Facebook, hpplay.com WhoIs lookup, Google cache; Thanks anonymous!